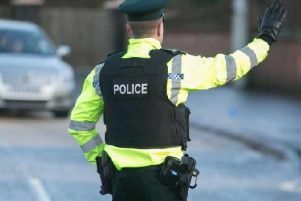 A six week driving ban was imposed on a 29-year-old man last Friday at Craigavon Magistrates Court for a no insurance offence. Damian Jaskot, Dingwell Park, Lurgan, was also fined £200 and ordered to pay a £15 offender’s levy. The offence was detected on September 11 this year at Carrigart Manor in Craigavon. A defence solicitor said her client had missed a direct debit payment and the insurance policy had been cancelled. She added that the defendant got insurance two days after he was stopped. The solicitor explained that Jaskot was a new driver and needed his car for work. She asked the judge to consider a short disqualification for Jaskot who had no previous convictions and no points on his licence.